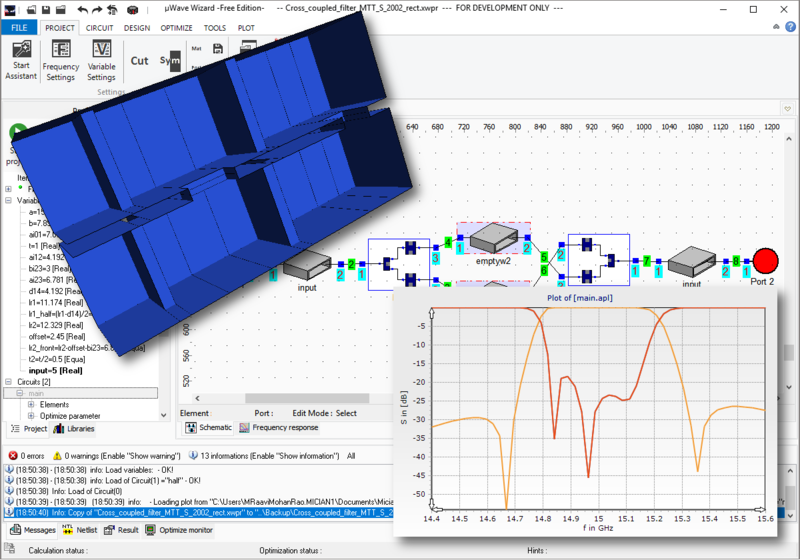 The µWave Wizard™ includes all element libraries except the modeler library. 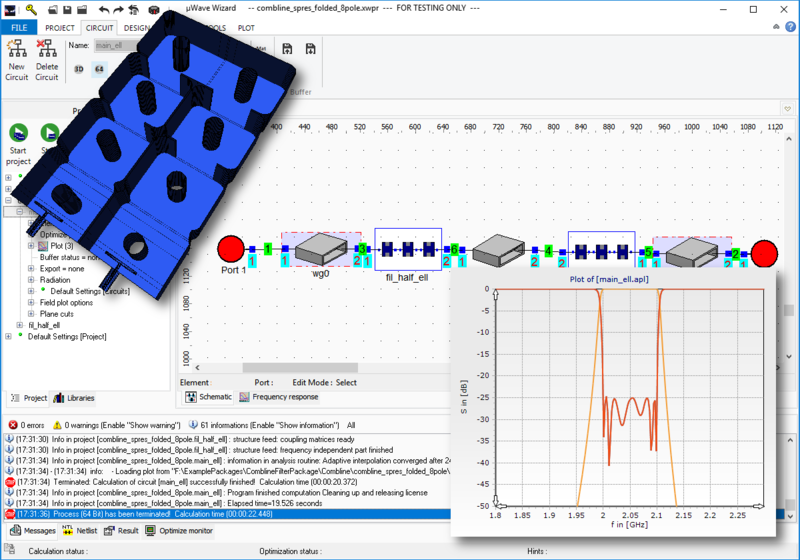 A large variety of microwave components such as filters, multiplexers, feed networks, SIW components, directional couplers as well as complex RF assemblies can be designed using our comprehensive standard element libraries. 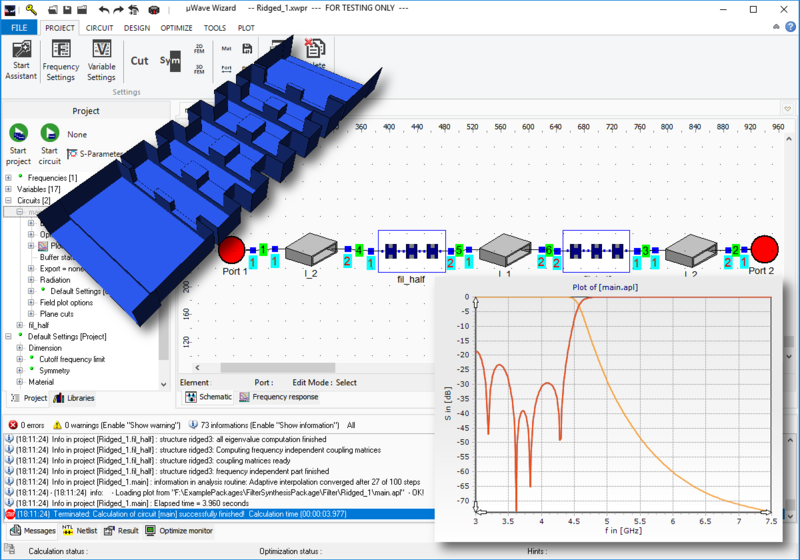 In addition to using the built-in evolutionary optimizer, the µWave Wizard™ also allows for external control through third party applications accessing µWave Wizard™ via COM interface. 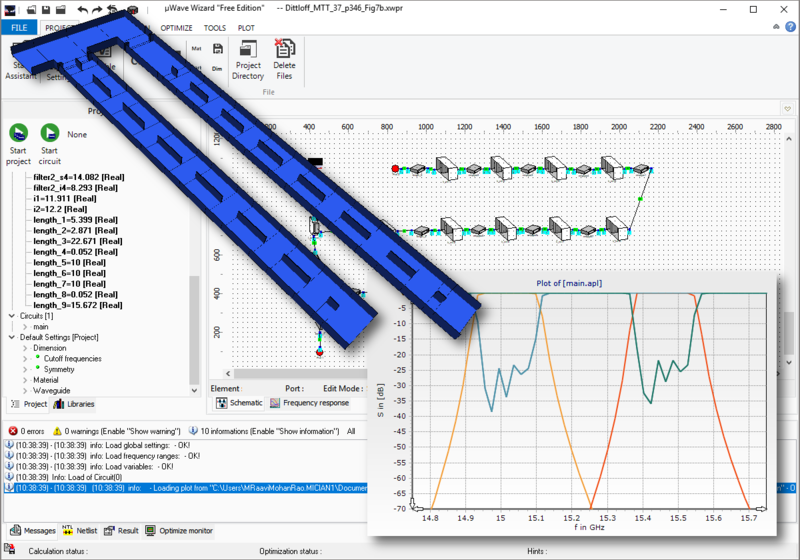 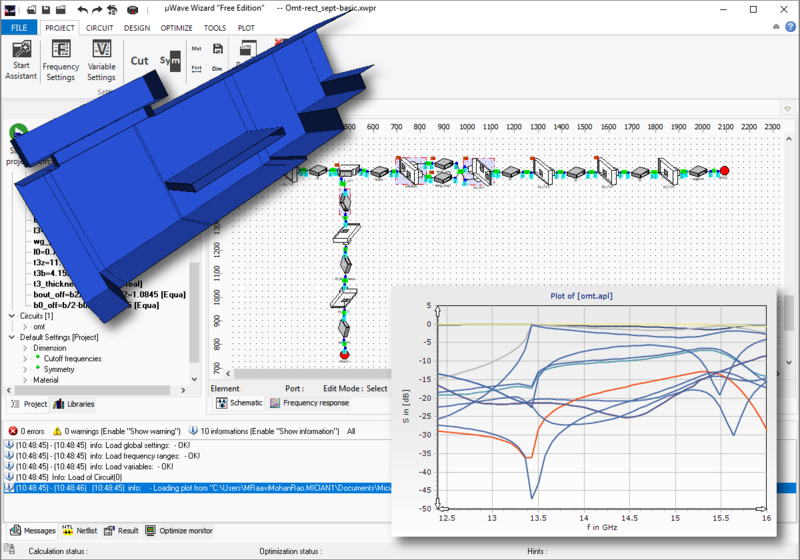 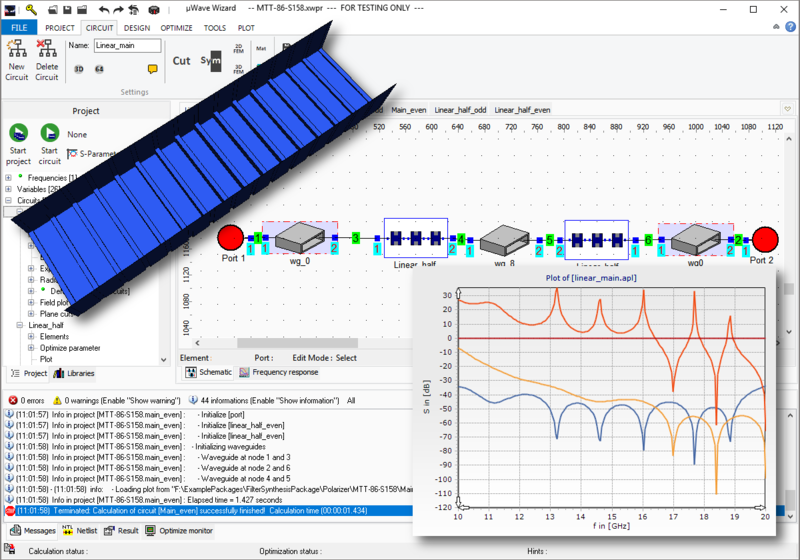 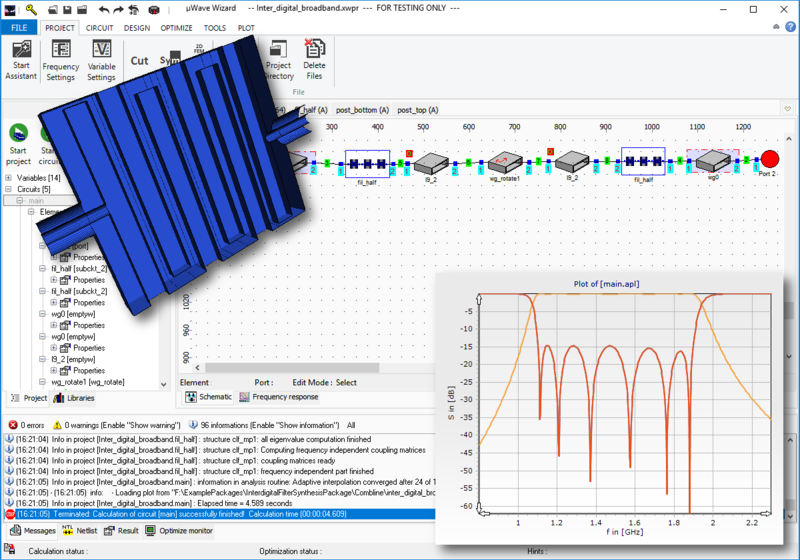 Besides the standard Hybrid Solver engine, the µWave Wizard™ also offers a full 3D-FEM solver at circuit level for design verification or comparison purposes. 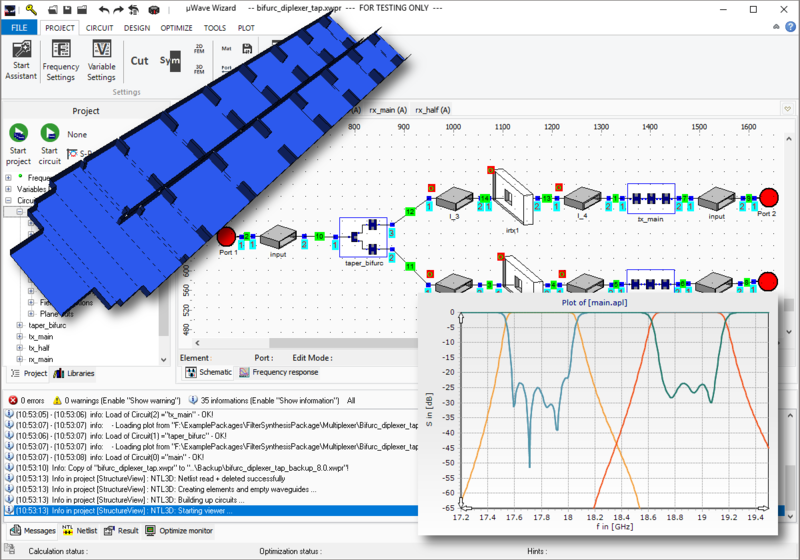 The µWave Wizard™ can be extended to suit the requirements of any of your applications by selecting additional features from our product catalog. 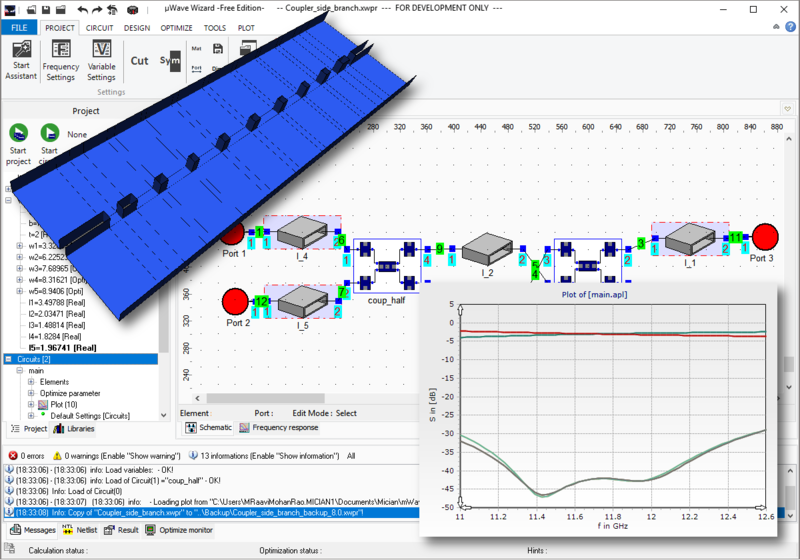 For example, if field computation is required, the µWave Wizard™ can be customized by appending the field computation feature. 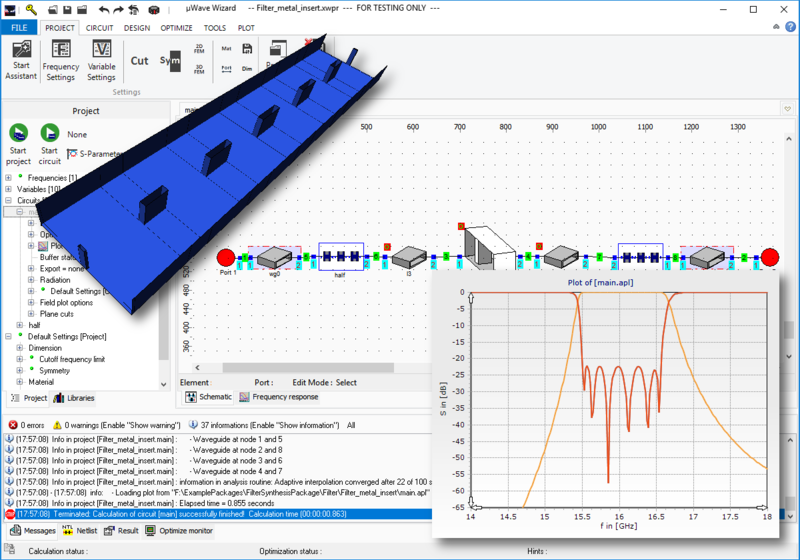 Available features are listed in the add-ons Matrix of our product catalog.